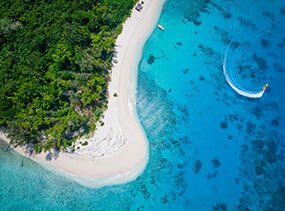 In Vanuatu, the lush natural beauty is complemented by classy accommodation that caters for your every need. Whether you're after kids' pools, private villas or full-service resorts, we'll help you find your perfect match. 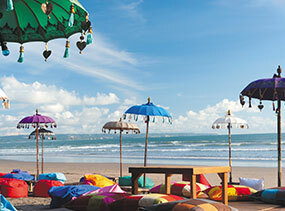 It's hard to have a below-par accommodation experience when most of the options are right on the beach. 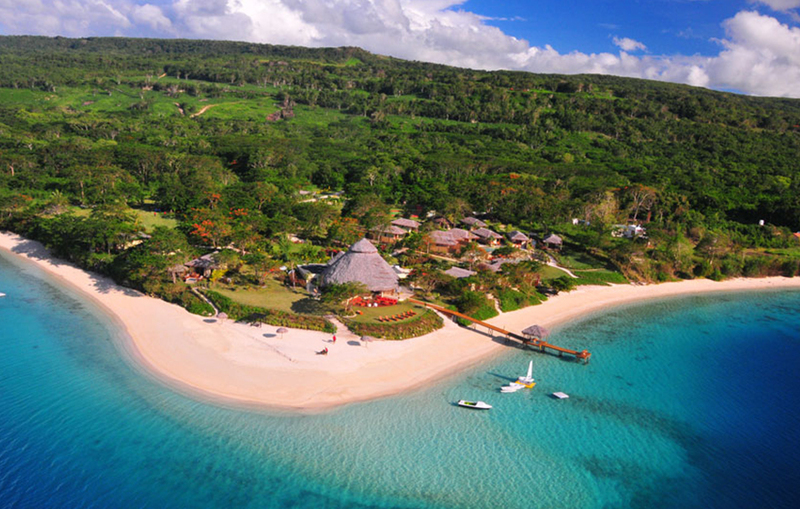 We love them all, but these are our absolute favourite places to stay in Vanuatu. 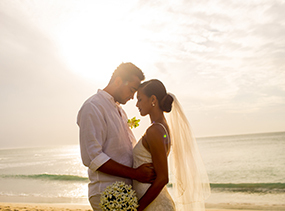 An exclusive adults-only retreat, this one is for the couples. 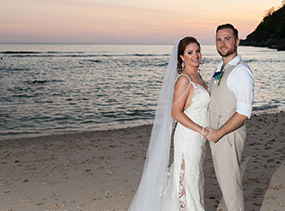 Feel the romance ignite in the intimate setting of luxurious bungalows, enjoy jetty dining with your significant other at sunset and end each day with a starlit stroll along the exclusive white sand beach. The sweeping grounds have phenomenal sea views, while rooms offer everything from private plunge pools to direct lagoon access. 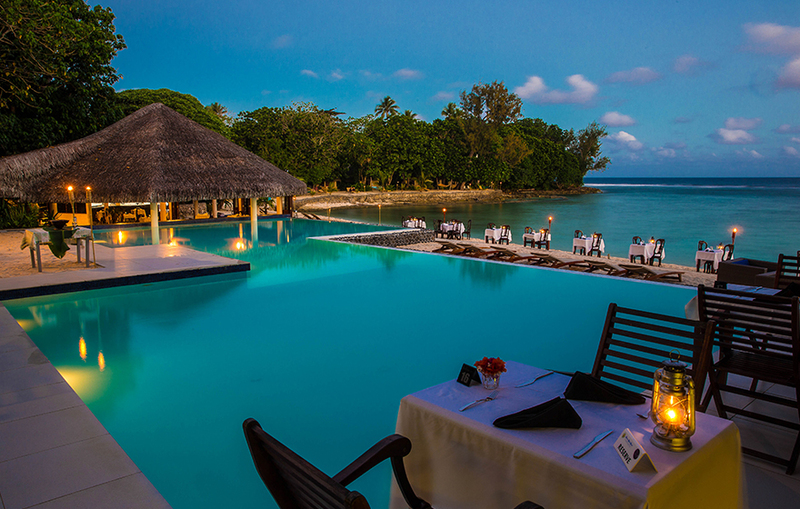 Located 25 kilometres north of Port Vila, this resort will make you feel like you have left the real world behind. 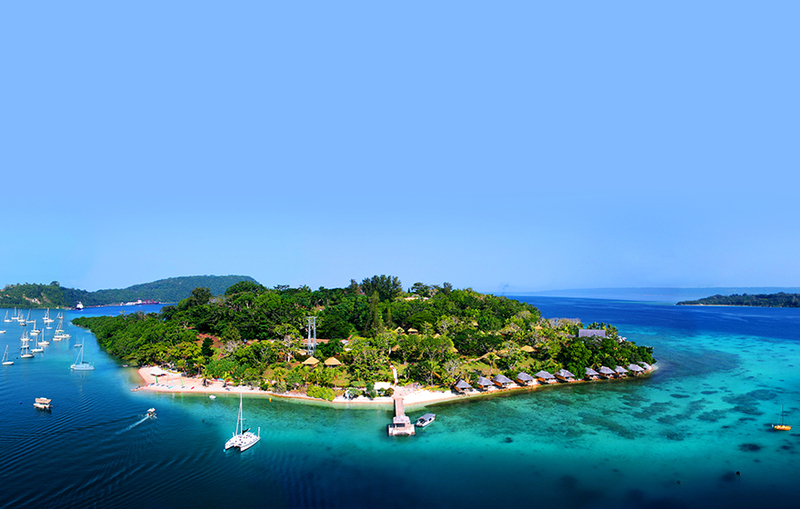 This resort takes up its own exclusive island and features tropical bungalows opening to harbour views. Imagine yourself stepping outside in the morning and walking only a few metres to the water's edge - it doesn't get much more relaxing than this! 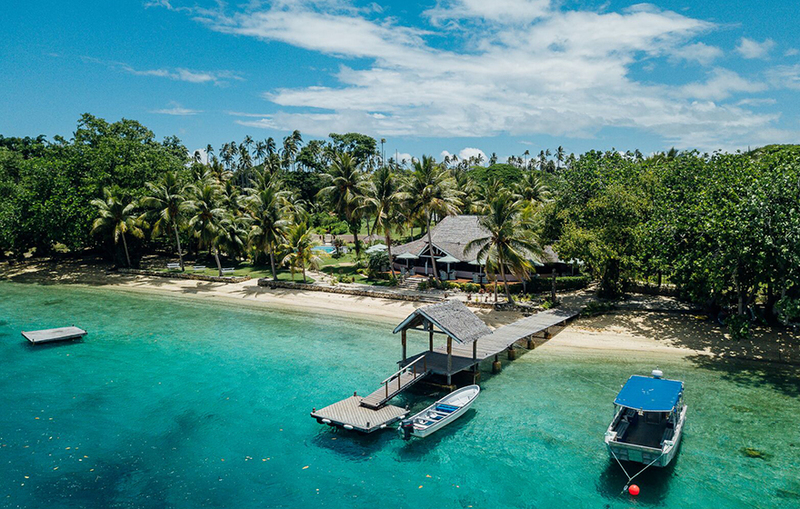 Despite feeling like you're miles away from the real world, this island retreat is only five minutes from the centre of Port Vila, so it's a perfect location to make the most of day trips around Efate. 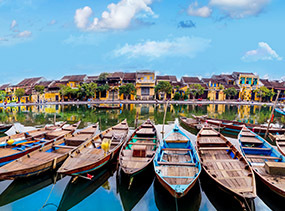 Leave the crowds behind and hop on a ferry to this boutique getaway. Aore Island Resort is everything a tropical paradise should be, surrounded by coconut trees and calm ocean views. 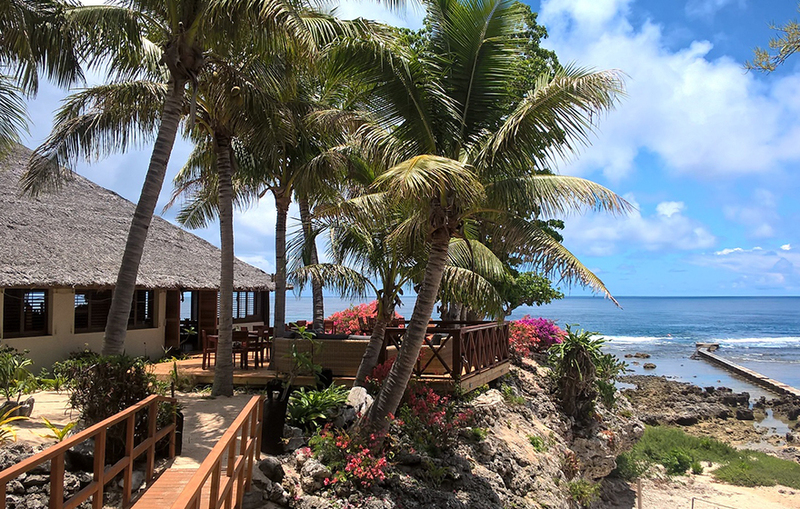 This is a great spot to enjoy warm ni-Vanuatu hospitality - join in the popular Island Nights and sing along with local villagers! 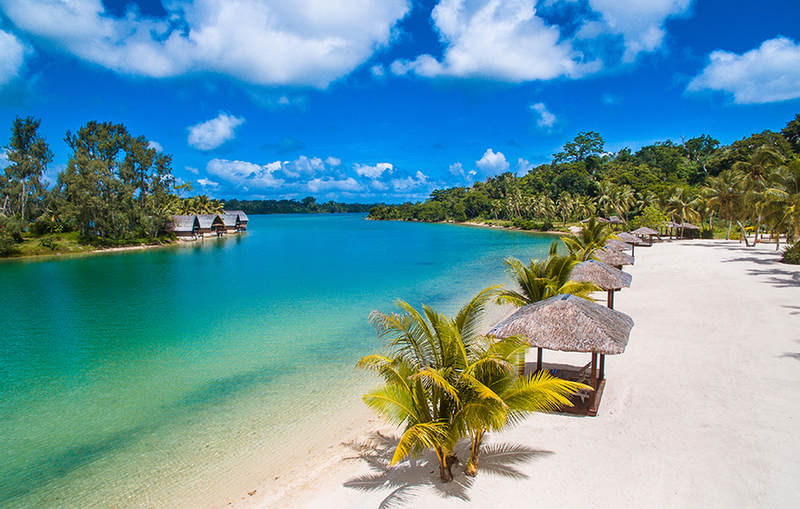 This resort is close to Port Vila, but you would never know it from the serene surrounds. This adults-only resort features romantic bungalows with open-air coral bathrooms. You're never more than a few steps away from the beach, and you can enjoy the infinity pool and swim-up bar. After a hard day of watery fun, treat yourself to massages, cocktails and first-class dining, for one of the best date nights ever. 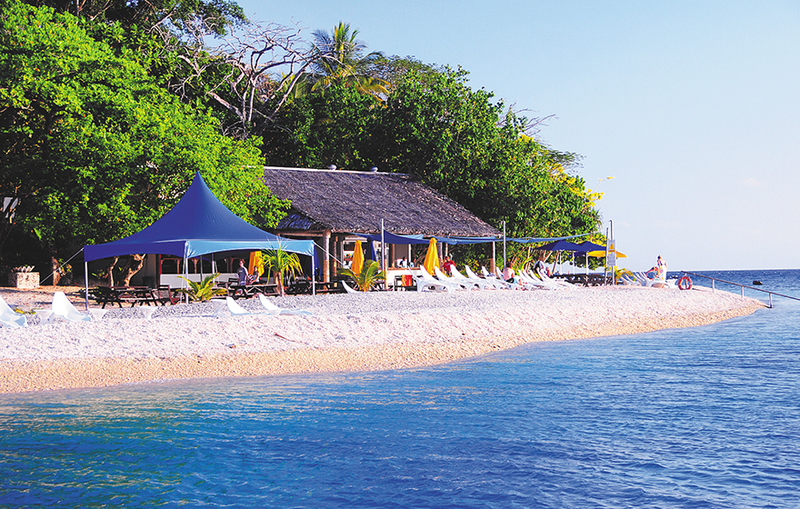 Located on Tanna Island, this resort is a luxurious accommodation option with a unique Melanesian twist. The bures are breezy and comfortable, surrounded by tropical gardens and with direct access to reef pools that are fabulous for snorkelling. White Grass makes a great base for exploring Mount Yasur and the rest of Tanna Island. 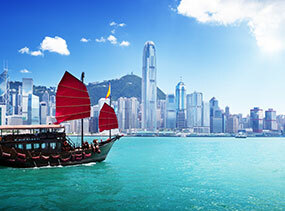 If you fancy yourself to be like Robinson Crusoe, find your own adventure on Hideaway Island. 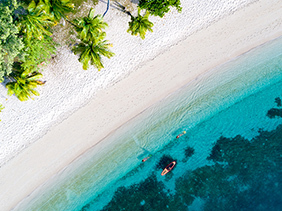 This tranquil little tropical paradise is located just off Efate, so it's perfect for anyone wanting to escape the crowds of Port Vila. The whole resort is surrounded by a marine reserve, so every time you dip a toe in the water you'll spot a few fish. There is also a quirky underwater mailbox just off the island where you can post waterproof letters home to family and friends. 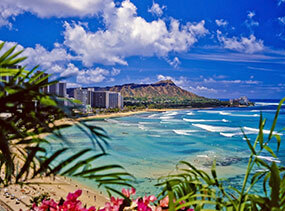 This world-famous resort is a full-service, family friendly resort that offers great value for money. With an on-site spa, tennis courts and a beach that overlooks Erakor Lagoon, you'll have to tear yourself away from this place to go and explore the rest of the island. 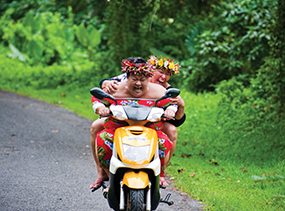 To check in to your own seductive Vanuatu escape, contact our expert team today.